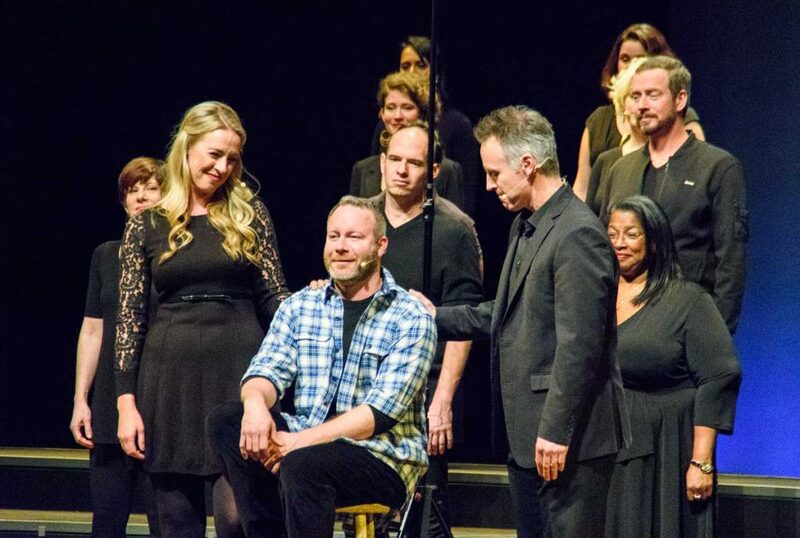 The Grammy Award-winning choral ensemble Conspirare, which is Latin for “to breathe together,” performed its two-hourlong, three-part oratorio “Considering Matthew Shepard” on Tuesday night at the Gertrude Castellow Ford Center for the Performing Arts. The performance in Oxford was the third stop on the company’s four-performance tour. 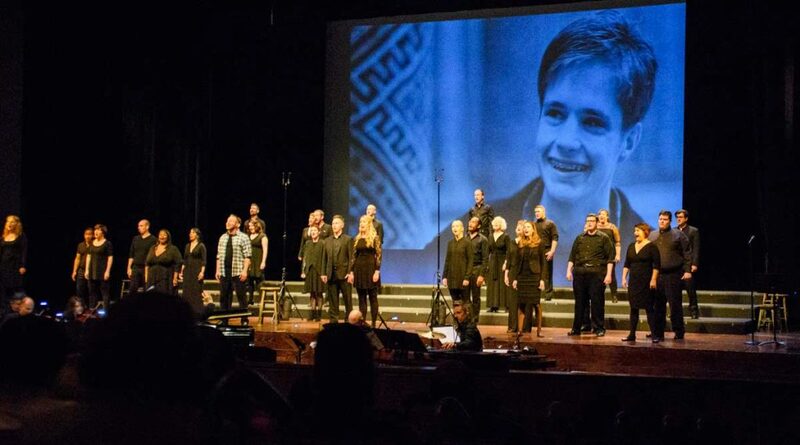 The Grammy-nominated oratorio, composed by Craig Hella Johnson, is an emotional response to the 1998 murder of Matthew Shepard, an openly gay student at the University of Wyoming. On Oct. 6, 1998, Shepard was kidnapped, beaten and left to die in a field near Laramie, Wyoming. He died days later at Poudre Valley Hospital in Fort Collins, Colorado. He was 21 years old. The oratorio is a sort of passion story of Matthew Shepard, and, in fact, the title of the second part of the performance is “Passion.” The first and third sections are titled simply “Prologue” and “Epilogue,” respectively. The performance was vibrant and varied, featuring musical compositions in styles ranging from classical choral pieces to jazz songs and country ballads. The performance was visually impressive, too, as the ensemble, clothed all in black, stood on the Ford Center stage in front of a screen that displayed images of pastoral scenes, pages of Shepard’s journals, Shepard himself and his attackers, among other visuals. The performance began with three expositional pieces. The first, “Cattle, Horses, Sky and Grass,” establishes the setting. The second, “Ordinary Boy,” introduces Matthew Shepard and his family. The third, “We Tell Each Other Stories,” discusses the reasons for the continued telling of Shepard’s story 20 years later. Immediately following the three pieces of the prologue, the chorus launched into the body of the oratorio, “Passion.” During “Recitation II,” a spoken interlude between songs, a member of the ensemble recounted the events that led to Shepard’s death. 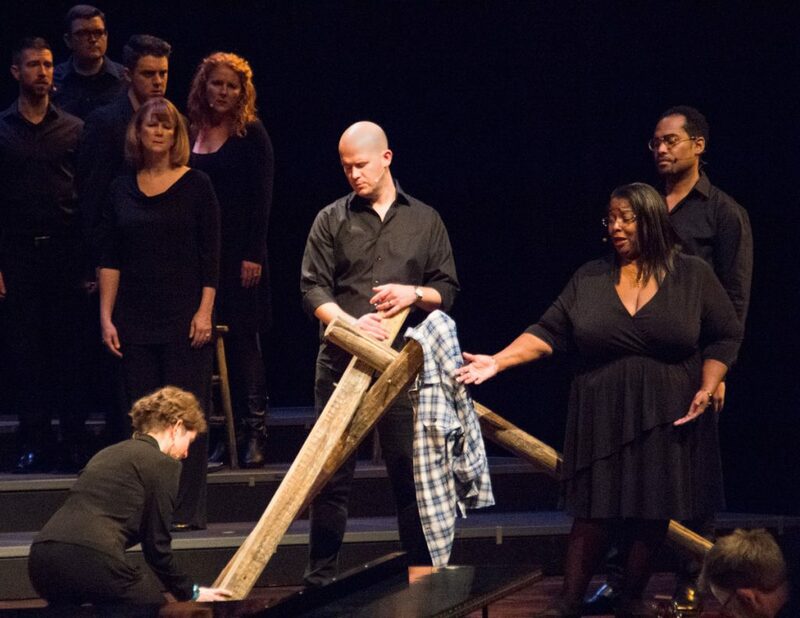 The emotional climax of “Passion” came when the chorus member who represented Shepard in the first section of the show – marked by a plaid shirt worn over his black clothes – removed the flannel during this recitation and placed it on a section of buck-and-rail fence on the stage in a scene designed to evoke the imagery of crucifixion. The story of Shepard’s death was quickly followed by stories of the public’s reaction to it. The first came in the song “A Protestor,” which featured violent, angry quotations from protestors, including Westboro Baptist Church members, who picketed Shepard’s funeral and the trial of his murderers. A drastically different reaction was shown in “Keep it Away From Me (The Wound of Love),” a jazz piece expressing the desire of many people to ignore Shepard’s painful story. “Don’t wanna look on this/ never get near/ flames too raw for me/ grief too deep/ keep it away from me/ stay out of my heart/ stay out of my hope,” sang a powerful alto. Stemming from these two strikingly different strains of public opinion, the death of Matthew Shepard caused a media firestorm that drew national attention to the issues of hate crimes and hate crime legislation. In 2009, the Matthew Shepard and James Byrd Jr. Hate Crimes Prevention Act was passed by Congress and signed into law by Barack Obama. The legislation greatly expanded a 1969 federal hate crime law. The law revolutionized the way that the United States government deals with hate crimes. It requires the FBI to track broader categories of hate crime statistics and enables the federal government to investigate hate crimes not pursued by local authorities, among other things. The law also expands the definition of hate crimes to include crimes motivated by a victim’s real or perceived gender, sexuality or disability. During the final section of the oratorio, in a song titled “All of Us,” members of the University of Mississippi Chorus stood from their positions in the audience to sing with the members of Conspirare. They asked questions about forgiveness and healing – the things composer Craig Hella Johnson would have us all take from Shepard’s story.